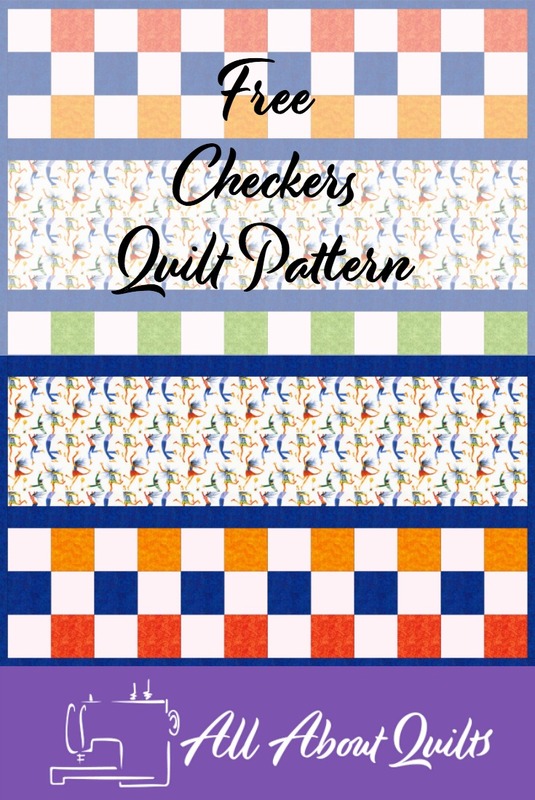 Checkers Quilt 62" x 77"
Joannes Designs Week14 'Checkers Quilt' a design I created to showcase your favourite large fun print fabric. So often when I go fabric shopping for my next quilt I use the smaller print fabrics. But I've noticed there are a fabulous range of large print fabrics or fabrics with repeat scenes on them. 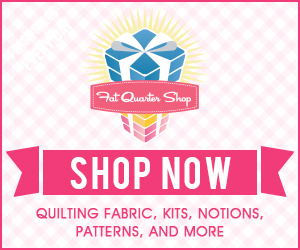 This simple strip quilt is ideal to use some of these fabrics in. Fabric ranges also have fabrics that complement these large prints (usually in several different colour ways)so choosing appropriate coordinating fabrics is much easier. 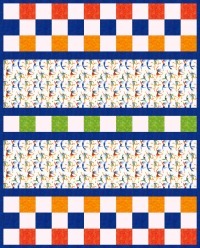 This quilt is a large baby quilt that can also be used when the baby grows out of the crib/cot and moves into a big bed. My daughter had a large quilt for her daughter and she loved that it worked on the large bed as well. You need to cut out 84, 5 1/2" squares as per in the pattern below. 1. 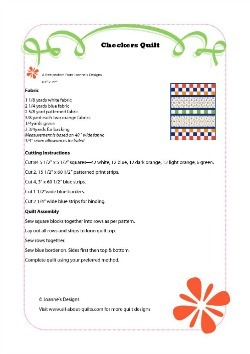 Cut your fabric into 5 1/2" wide strips then cut these strips into 5 1/2" squares. You will need a total of 84 squares. 2. Lay out all the squares into rows as per the quilt pattern. Sew the squares together into 7 rows each containing 12 squares each. 3. Lay all the rows out on a flat surface or design wall following the quilt design. It is best to stand back to see if any of the blocks have been placed incorrectly. 5. Measure your quilt top in 3 places vertically to get the average length to cut your first two side borders. Cut two red borders this length. Sew in place. 6. Remeasure your quilt top in 3 places horizontally to get the average width to cut your next two borders. Cut two red borders this length. Sew in place. 7. I have designed the binding to be double and allowed for this in the fabric yardage. Cut binding fabric into 2 1/4" wide strips. I hope you enjoyed Joannes Designs Week14. 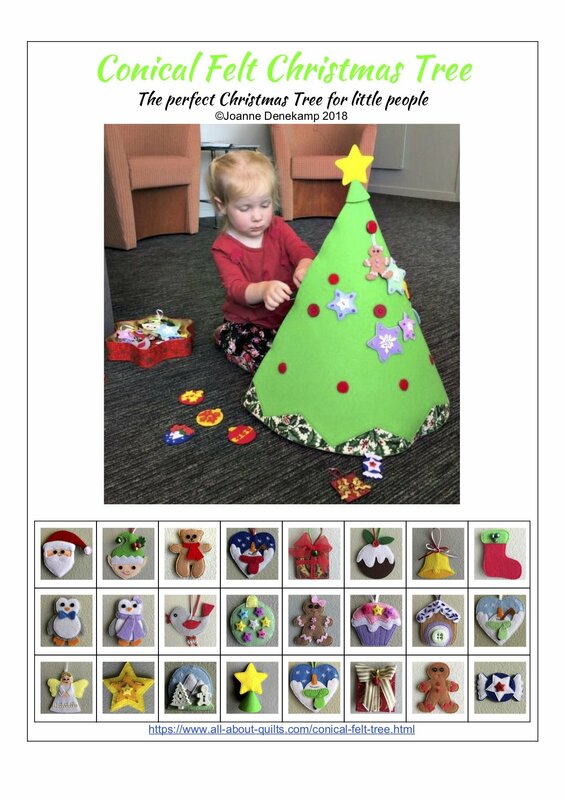 Just 38 patterns to go!